You’re reaching the end of your high school journey and are beginning to applying to college—congrats on making it to this exciting part of your life! 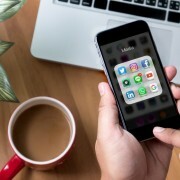 While you should absolutely enjoy this time, it is extremely important to make sure that you know what you’re doing during this extensive process. An often overlooked part of applying to college is FAFSA. With college tuition being on average $20,000-$40,000 a year, it is impossible to think the average student can pay for college on their own. FAFSA helps to lessen your out-of-pocket expenses while assisting you with loans. When it comes to financial aid, the 2 biggest mistakes families make are either applying too late or not applying at all. The FAFSA (Free Application for Federal Student Aid) is the main form you submit to apply for financial aid for college. It will be submitted to all the colleges you are applying to. Each college has lots of other forms that you also might have to do for this process too, but this is the MAJOR one. When you get into a college in the spring of your senior year, you’ll likely get a “financial aid award package”, meaning money from the school. This is where you will see how much you received and how much you will still have to pay. FAFSA, however, provides aid money that you do not have to pay back and offers loans you can borrow that MUST be paid back after school. There is no official deadline, but FAFSA is provided on a first come first basis. Thus, it’s wise to submit your form as soon as possible. It usually opens up the first of the year, but starting 2016, it opened October 1st, 2016. While it’s not too late to apply, I encourage you to fill out the information ASAP. The later you apply, the more you lessen your chances of receiving a good financial aid package for college. Should you wait until you’re accepted? No! Please do not wait for an acceptance letter from college before applying for FAFSA, as doing so will further delay the process and your potential package. FAFSA allows you to enter in a total of 10 possible colleges you will apply for, and you can change those schools after submitting FAFSA at any time. In the end, you’re only going to have one school choice so there is no need to be worried about listing more than 10 schools. That said, it’s suggested to only list colleges you actually paid to apply for, rather than listing all the schools you have in mind. Additionally, you are now able to submit your FAFSA forms in October, instead of January. While FAFSA is for federal aid, many school use it to determine their own needs-based aid. And because the forms were submitted earlier, this means schools can tell applicants how much aid they are getting, thus giving them more time to compare and contrast school offers: January v. March. Early admissions applicants are in even better shape: “Students who applied for early admission and who are admitted are receiving actual financial aid award letters with their offers of admission, as opposed to estimated award letters like in previous years,” says Mark Kantrowitz, publisher and vice president at Cappex.com, a college and scholarship search website. Your FSA ID and the FSA ID of a guardian—these are IDs or “logins” that you and your guardians will create when you first complete the FAFSA application. Your guardian’s and your own social security number (SSN). If you and/or your guardian do not have an SSN, you will need to contact FAFSA about your options for applying. Your Driver’s License Number, this is only applicable if you have a license. If you don’t have one, no problem. Your parent’s W2 and 1040 Forms, which your guardian’s can receive from their employers. work forms your guardian’s have from their jobs. If your guardians do not work, they need not to worry about the forms, and they can be listed on FAFSA as unemployed. Annual tax returns from this year and last, which your guardians will also have. PLEASE do not wait for your guardians to file taxes to apply. They can always add those after submission. Record of untaxed income such as social security. This is another form your guardian will have from work. If you guardians are not receiving social security, this does not apply to you. Record of a guardian’s bank statements and investments, which are basically an account of all financial assets outside of working that your guardians have. Finally, your list of all the schools you are interested in, which is pretty self-explanatory. It’s a lot to digest, but it is extremely important that you start gathering all the documents you’ll need. So take these gems of wisdom and get to it—good luck! As you think about paying for college, you should know that there are two main types of financial aid: 1. need based aid – federal and state grants and 2. merit-based aid. We’ll break down the difference in these types of aid for you right here. If you are looking for need-based aid, the first place to start is by submitting the FAFSA (Free Application for Federal Student Aid) online starting January of your senior year. The application form is required to apply for any federal financial aid and helps determine how much aid you can receive for college. By applying, not only will you become eligible for government college aid, but you will also become eligible for thousands of other non-federal grants and scholarships. In addition to the FAFSA, some schools will ask you to submit a second application, the CSS/Financial Aid PROFILE, for non-federal (private) aid. These schools will use your PROFILE application to help them award scholarships and grants that are given out by the school. The best tip we can give you for filling out your FAFSA – do it now! The sooner you submit your FAFSA, the better your chances are of securing aid for college. Student who file their FAFSA between January-March receive, on average, 2X the amount of grant money as those who file later. The other type of aid available is merit-based aid. Merit-based financial aid is based on your achievements and ability regardless of your financial status. For example, athletic scholarships are merit-based aid, as are grants awarded to academic students for their grades. You can even earn merit-based aid for scoring high on the SAT or ACT! Merit-based aid is usually awarded by colleges, organizations, or corporations. File out your FAFSA as soon as possible after October 1. Government aid is first come, first serve so if you wait too long you won’t receive much aid. Even if you’re parents haven’t filed their taxes yet, you can still submit an estimate now and make changes later. Once you have all the above documents, you can go ahead and apply here, the application is available 24/7. One of the biggest questions parents have as their child navigates the college admissions process is, “What’s my role?” At Kaplan, we tend to advise students to take the wheel. That said, parents can sit in the car too, perhaps in the backseat. But every student is different. Every family is different. For example, one place where parents should/must be involved in in the college financial aid process (see above). 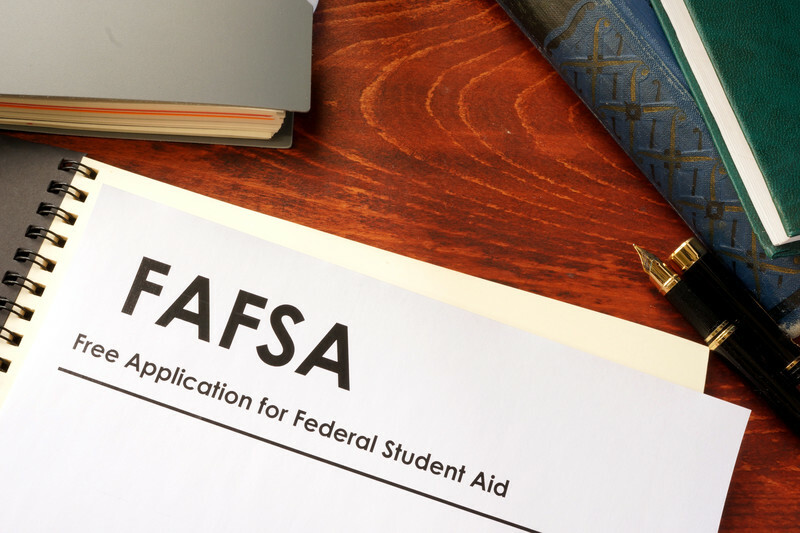 In almost all circumstances, unless the applicant is independent, parents’ tax returns are needed to determine the FAFSA award. 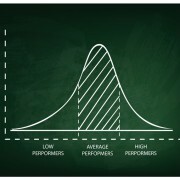 ACT Score Predictor: What is your ACT Score?